Lovingly maintained CUSTOM brick home with cute curb appeal includes 2 Master Suites and a total of 4 bedrooms, 3-1/2 baths. The spacious floor plan is 2156 square feet per seller. Entry features a gated courtyard, shaded by a mature tree. Cozy brick wood and gas burning fireplace in the living room with skylight and an exposed wood beam ceiling. The roomy kitchen offers tile counters, oak cabinets, built-in microwave, electric stove, dishwasher, and eat-in nook. Laundry room with sink, cabinets/pantry, and a 1/2 bath. Separate dining room off of the kitchen. Garage has lots of storage, utility sink, and a removable wheelchair ramp. Covered patio and gazebo, both with ceiling fans, in the back yard are perfect for entertaining family and friends. 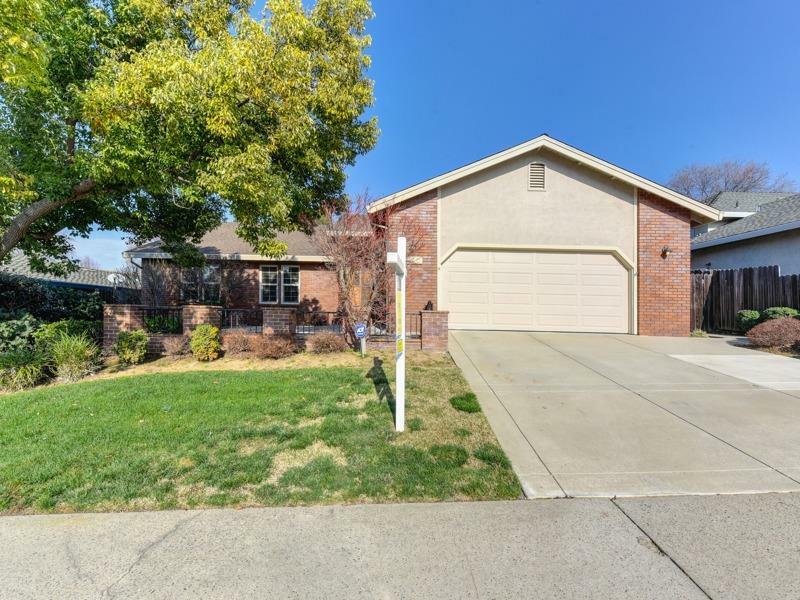 Seller updated the HVAC, ducting, plumbing pipes under the house, exterior paint, and garage door in 2014.